It is with much sadness that the Museum recently learnt of the loss of our much valued volunteer Alan Closs, who passed away peacefully in his sleep on 31st March 2012, aged 84. 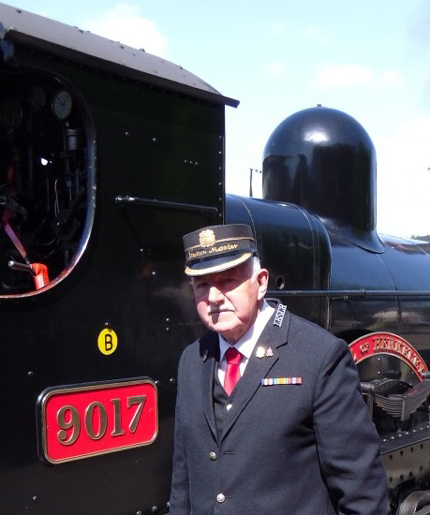 Affectionately nicknamed ‘Chuff-chuff’ on account of his love for steam engines, Alan was also a long-time volunteer with the Bluebell Railway and at various times held the position of Stationmaster at Sheffield Park , Horsted Keynes and Kingscote. Seeing service in the latter months of World War Two, Alan was a Guardsman with the Coldstream Guards who continued to serve post-war and was on duty in Westminster Hall in February 1952 for the lying-in-state of King George VI. Alan will be much missed as one of the finest from a generation that put the ‘great’ into Great Britain . 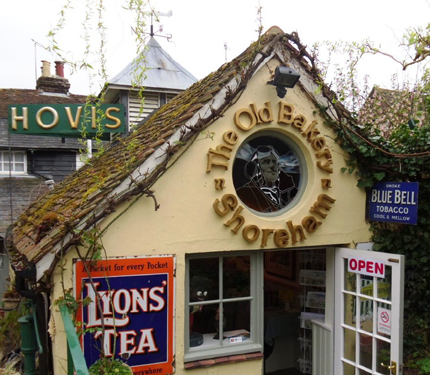 Thanks to the efforts of Museum ‘Friend’ Mike Goodger, the Tearoom now displays some terrific lettering as a reminder of the long-ago past use of the building when Shoreham Village could boast having its own baker, blacksmith and other varied country craftsmen. 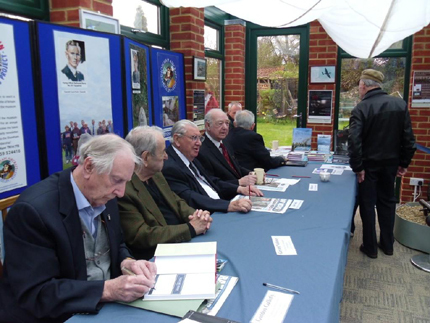 The Museum was again blessed by the visit of a fantastic bunch of ‘Bomber Boys’ who gathered for a signing event to raise funds towards the RAF Bomber Command Memorial. 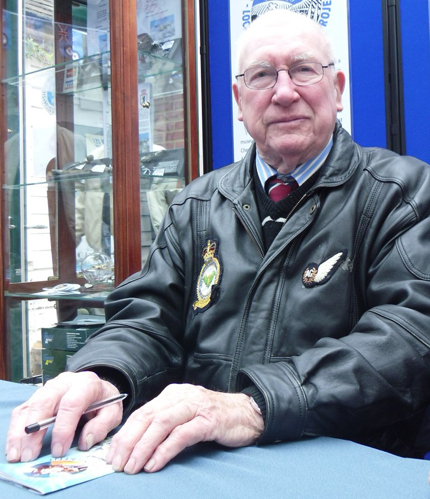 A surprise visitor during the day was the very popular Harry Irons DFC, who generously joined in with signing items for visitors and who was most impressed with the Museum and has promised to return for a future event – so keep a lookout on the homepage for future announcements. You are currently browsing the Shoreham Aircraft Museum – News archives for April, 2012.